Florida is now the first state in the country to offer students scholarships to attend safer schools. “Every child in Florida should have the opportunity to get a great education at the school of their choice so they can achieve their dreams,” said Gov. Scott upon signing the bill into law (HB 7055). The Hope Scholarship Program also stands out for its unique funding mechanism. Unlike publicly-funded voucher programs, such as federal Pell grants and 26 state-level K-12 programs, Hope Scholarships are privately financed by car buyers who may donate up to $105 of their registration fee to the program. In return, donors receive a dollar-for-dollar credit against their car purchase sales tax. Non-profit scholarship funding organizations (SFOs) administer donations and scholarships, report to the state education department, and participate in annual audits by the auditor general. Students transferring to another public school outside their current district may receive Hope Scholarships worth up to $750. Scholarships for students transferring to private schools will average around $6,800. Hochstedler added that a Hope Scholarship would have benefitted her son, who was tormented at his previous public school from third to fifth grade. Bullies punched him, slammed him into lockers, and even threatened to stab him. Yet school administrators did little to improve the situation. But not everyone supports the Hope Scholarship Program. Well, school climate isn’t “solved” by keeping victimized students trapped schools that are unsafe for them, either. Current estimates (pp. 173-177) suggest that if just 10 percent of car buyers participate, their donations could fund scholarships for roughly 5,800 students—approximately 12 percent of the reported 47,000 students bullied annually in Florida. The Hope Scholarship Program represents an important stride toward ensuring no child is victimized at school. And, combined with Florida’s existing and recently expanded choice programs, it increases educational opportunities for even more students statewide. Importantly, the Hope Scholarship Program introduces powerful pressure for administrators to stop school bullying or risk losing victims to other schools—a practice that improves school safety for all students. Florida’s progress stands in stark contrast to California. Ten years ago California lawmakers also attempted to give student victims a path to safer schools. Under the California Constitution all public school students and staff “have the inalienable right to attend campuses which are safe, secure and peaceful”(The Right to Safe Schools, Article I, Section 28 (c)). Yet as of 2008 not one of California’s more than 9,000 public schools had ever been classified as “unsafe” because the state’s definition was so narrow. Had schools been deemed unsafe, students would have been eligible to transfer to a safer school under the federal No Child Left Behind Act’s Unsafe School Choice Option (USCO) requirements. The proposed Safe School Guarantee legislation would have allowed parents with a reasonable apprehension for their children’s safety to transfer them immediately, without having to wait years for some state bureaucrat’s say-so. 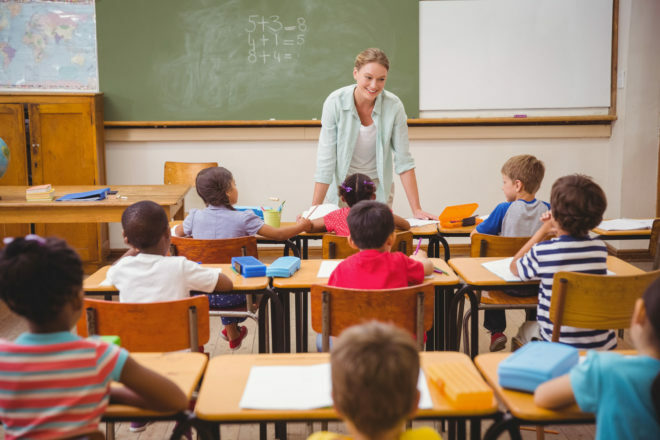 The California Federation of Teachers opposed the bill, and the author of the official bill analysis questioned parents’ ability to determine whether or not a school was safe. Ultimately, the bill was defeated in the Assembly Education Committee. No parent should have to play “Mother, may I” with the state or federal government to enroll their child in a school they think is safe. Florida’s new Hope Scholarship Program helps return power over children’s education and safety where it belongs: with their parents.